I want to use my VP 2.2 vintage wheels VPS06584 (1" wide) on a rig, that needs 1.9" tires. 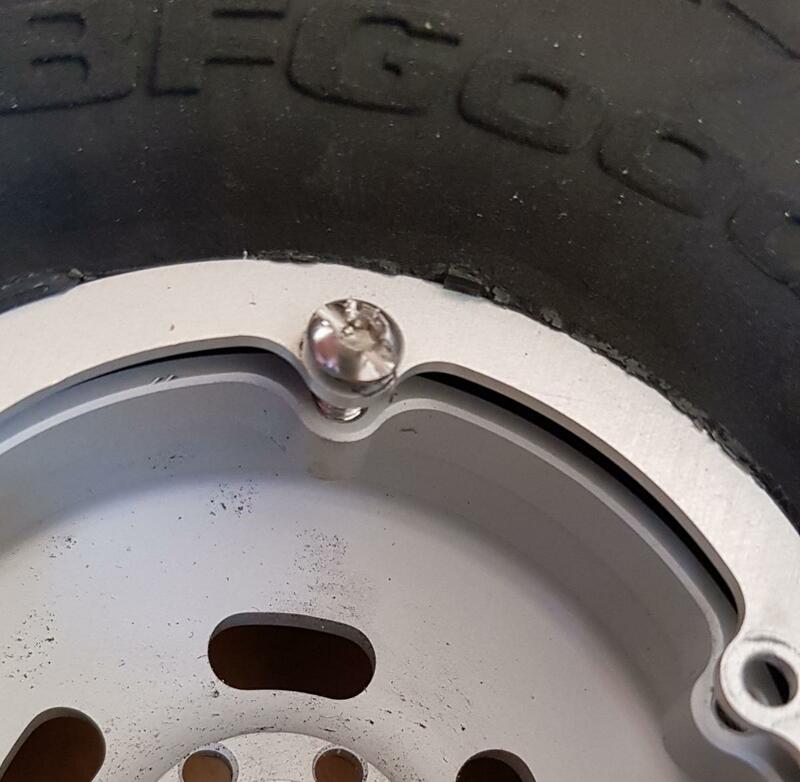 Do you know combinations of tire and rims where this is not possible? I thougjt Bout some RC4WD Wrangler MT/R 4.75" or even 4.19" Which foams you run on this combinations? Last edited by ToCrawl; 02-13-2019 at 09:10 PM. In usage of my VP Vintage wheels #VPS06584 I fitted RC4WD's MT/R 1.9" 4.75" #Z-T0158 on them. For monuting I used M3x14 mm. In my setting the zylinder head just fits in. But won't fit on an 1.2" wide WP-wheel! See the comparison to an 2.2 #Z-T0153 on VP wheel as well. Dremel helped me to undo 3 screws with lens head. With a small cut the flat screw driver was able to oben a scre where the hex was wasted. Lucky that M3x9 fit there as well. I don't usually like stretched tires, but the 1.9 MT/Rs look great on those VP 2.2s. I wish VP would make these wheels in 1.9, but when I emailed them they said they sadly have no plans to do so.